They are getting them today...shhhhhh! I sure hope they like this one! 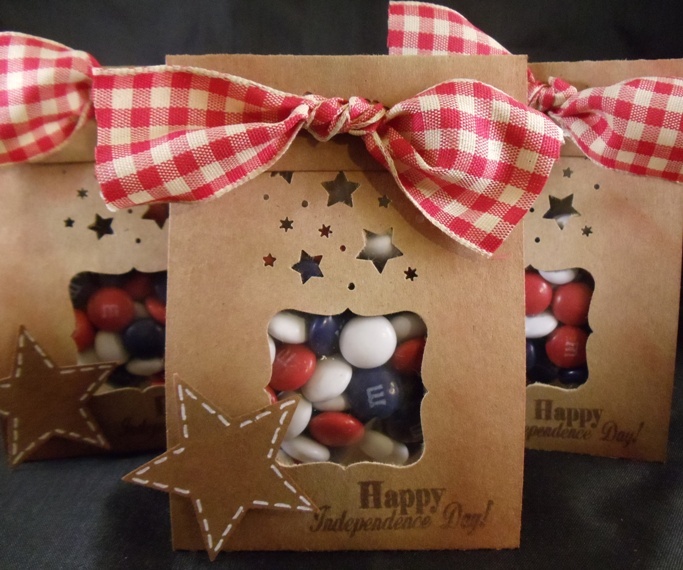 Cute treat bags, your co-workers are very lucky! 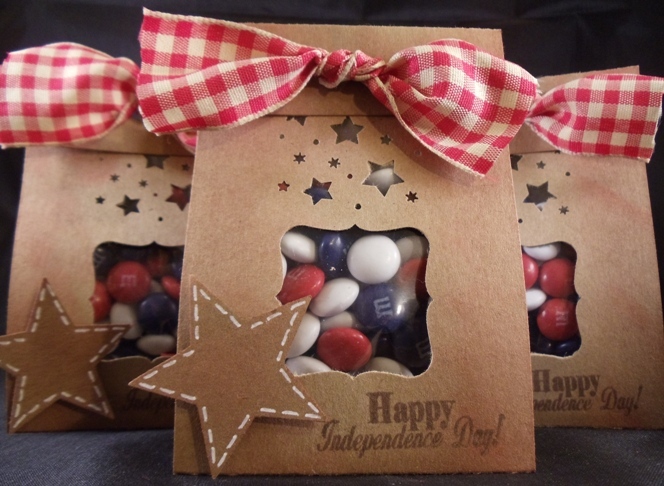 Oh my, your little 4th of July goody bags are adorable..
That is super cute and such a great idea! I'm thinking the cute square was Martha's punch that punches anywhere? I really like that look...I see a trip to Michaels in my future! Thanks for sharing such a neat idea. super cute idea! I love all the cut outs! Darling idea! Your co-workers will love these. I know I would. These are too cute. They are going to love them! How super cute!! How big are these? I love this!! So cute!! I love everything about it!! I imagine your coworkers loved it too!! Thanks for sharing!! (love that bow) That should make them SMILE ..How cute are these!! 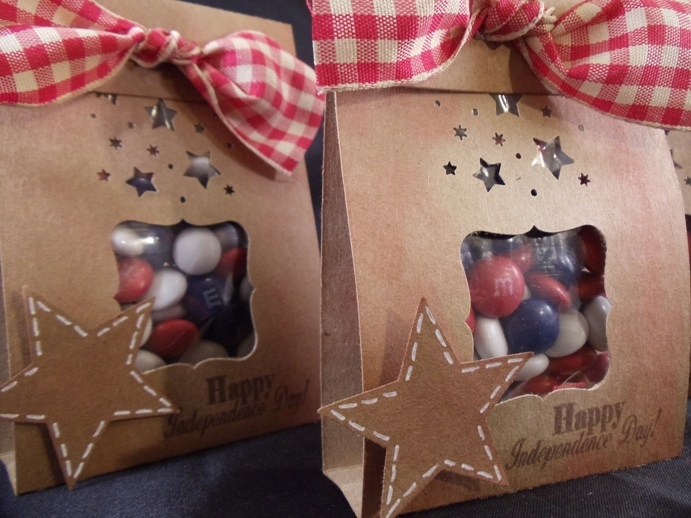 What adorable treat bags! I wish I worked with you! Super cute!..how I wish I worked with you. I need to go look for those red,blue, and white M&M's. Thank you for sharing. So cute ! So cute! But where are the cupcakes - just kidding lol! I know I would, they are so cute!! These are AMAZING! Thanks for posting!! This is adorable...I know this is an old post but I hope you don't mind I shared this project on my blog (found it through Pinterest! ).